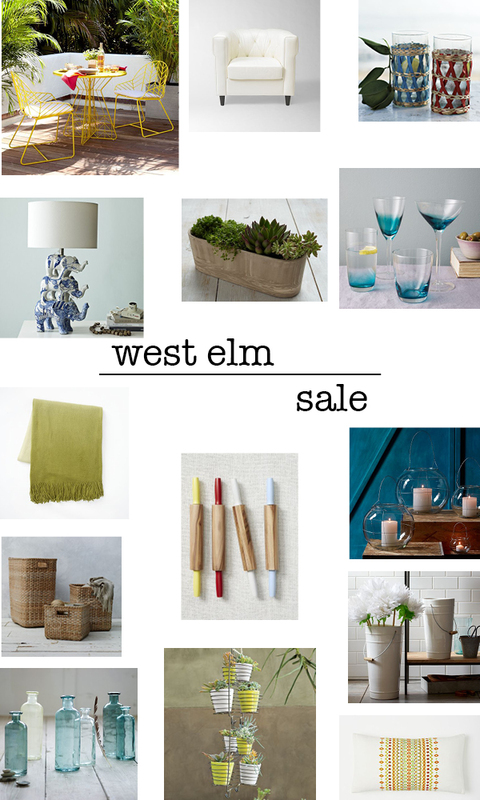 There is little I love more than a great sale, and when that sale is happening at West Elm? Well, it's a safe bet I can kiss my next paycheck (or two) goodbye. West Elm is one of my favorite destinations when I'm looking for inspiration or buying a gift, whether it's for a birthday, holiday, wedding or housewarming-bottle of wine not included! I've rounded up some of my major lusts & musts from their current sale, and I already called my mom to tell her to expect the Shirley Fintz Elephant Lamp to show up at home until I have a place big enough to justify another lamp in NYC. If you could take three things home with you from the sale, what would they be? I love that white chair. West Elm always has the best stuff! Ooh you're giving me decorating ideas for my dorm room!